Obesity is a condition that predisposes the body to many diseases. Cholesterol accumulated in blood vessels increases blood pressure, which is harmful to all organs and is a serious prerequisite for stroke. Overweight kilos harm the heart, breathing, they are associated with kidney problems, liver problems, biliary illness and biliary diseases, etc. They additionally burden the locomotor system, which accelerates age-related changes, resulting in faster wearing out of the joints and bones. In case of traumas it is more difficult for overweight people to recover and the process is slower. 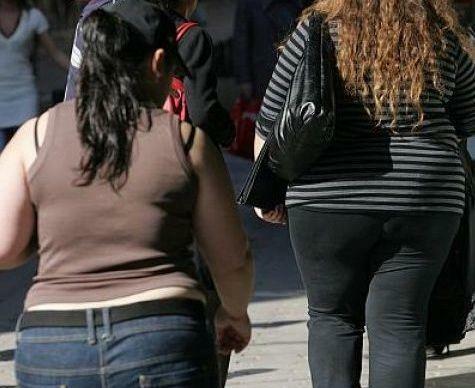 Obesity is not just the accumulation of fat on the pelvis, abdomen, thighs. It is a sure sign that toxins have accumulated in the internal organs that confuse normal processes even at the cellular level. These toxins are produced by indigestion which for Ayurveda is a reduced digestive fire, called Agni. When Agni subsides the food is not degraded in a timely and complete manner in the gastrointestinal tract in order for the body to absorb the beneficial substances and the discard unnecessary ones. Food remains are obtained with which various processes occur, including rotting. Toxins are released during this rotting. Along with nutrients, blood spreads them throughout the body. But toxins are foreign bodies for the cells and tissues, they are not absorbed, they are deposited, and as years ho by the organs are damaged which sooner or later leads to diseases. Thus, for Ayurveda, obesity is caused by poor digestion and metabolism, which is associated with harmful food and eating habits. If a person is eating following Ayurveda’s principles they will be eating a varied and delicious meal without the possibility of gaining extra pounds. And it is not just about eating and consuming calories, but about choosing what to eat, when, how to combine it. As is well known, Ayurveda’s diet is according to the corresponding Dosha which determines the beneficial and harmful to the person food, drinks, way of consumption. This is a detailed and sophisticated millennial science that has specified all the details. In order for Agni to be optimal according to the corresponding Dosha, it is also important, for example, how food is consumed – warm or lukewarm. If a person has accumulated extra pounds of improper nutrition and harmful habits, Ayurveda can help them lose weight effectively and healthily until the optimum weight is reached and maintain it. Weight loss is done with the help of a complex personalized plan. It includes cleansing of the body from toxins, way of eating, as well as yoga practices – exercises, poses, meditation. Yoga exercises are not power exercises, as some other type that make one sweat, but smoothly and efficiently, without much stress for the body, they help to melt the extra pounds. There are also separate poses and exercises in yoga, and combinations aimed at specific areas where fat is melted. In fact, Ayurveda and yoga are indivisible, including in terms of healthy eating views, whereby one can lose weight and control their weight. The complex plan should be composed by a specialist because each organism and body type are unique and a number of individual features have to be taken into account. Besides the Dosha, it is necessary to consider gender, age, to find out if there are any diseases, what stage they are in and so on. Together with the correct food selection and diet, the key to tackling the problem of obesity is to improve digestion by enhancing the digestive fire Agni and from there to optimize metabolism. 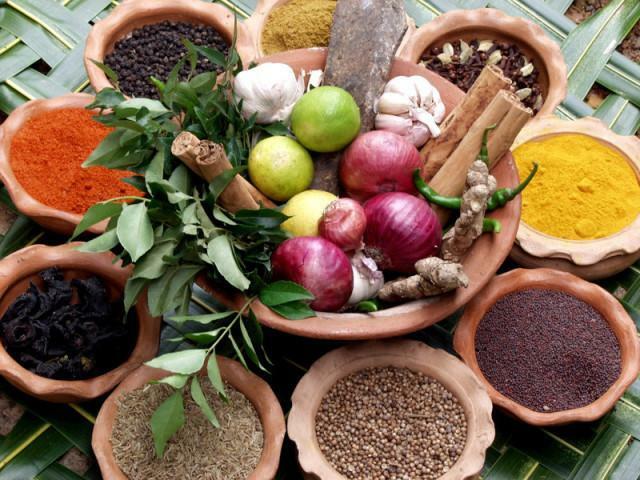 For this purpose, Ayurveda uses many herbs. Very popular, for example, is Garcinia Cambodia – it contains a special acid that suppresses the formation of fat. Commiphor wood resin which influences lipid metabolism, reduces triglycerides and cholesterol, is also very used. Ginger, which is almost universally in Ayurveda, is also used against obesity. One of its effects is that it speeds up metabolism and lowers cholesterol.